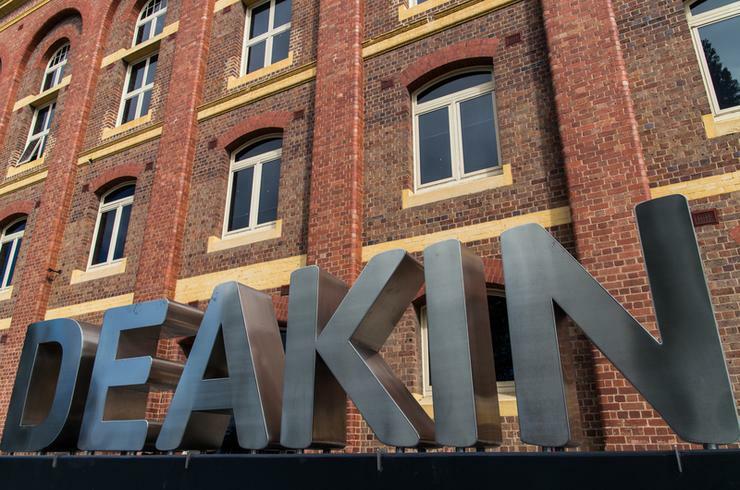 Deakin University has unveiled a mix of immersive reality, artificial intelligence (AI), IoT and predictive analytics technologies that its CIO and chief digital officer, William Confalonieri, says are the future of education. Deakin Genie, Scout IoT and augmented reality classes - which have been kept under wraps since last year - are all part of the work being done by the team in the Digital Future Lab. “We are investing heavily in technology because I believe that in the future - and not too distant future - my industry, in particular, is going to be dramatically changed, which is a consequence of a combination of technologies including smart agents, AI, augmented reality, and IoT (services that relate to location and proximity),” Confalonieri tells CIO Australia. Confalonieri sees the university of the future where students are at home with their augmented reality devices - and the AI agent will guide them through education, help them travel to places previously undiscovered and doing lab experiments. “That is the future of education. Certainly there will be some place for physical education as well - physical campuses - but that is probably not the most important delivery channel. But in those cases, IoT are going to be essential to the delivery of education. That is the final picture and why we are investing heavily in those technologies to get there first,” he said. Discussing the latest work, he said one the “most ambitious” projects is Deakin Genie - a proactive smart agent for students which can respond, run actions, and provide advice. “It is a personalised, super smart student assistant, which is not only responsive, but also proactive," he said. It is composed of a combination of technologies including chatbots, a mobile interface, artificial intelligence and a predictive analytics engine inside. “I have been working on a few quite disruptive things since last year, but keeping everything secret, since it is strong competitive advantage,” Confalonieri said. “Now I have everything working and I am starting to open it,” he said, explaining the next step with Deakin Genie is to go enterprise grade. “We have a working prototype, and it is in full development to take it to enterprise grade,” he said, adding the IT team is also working with teachers to determine the specific services required in the various faculties. “In March, we will be delivering the enterprise-grade Genie, which will be stronger and safer." The university has also released the Scout IoT, a location-based service application, providing students with orientation of the campus, for example. “Scout IoT is quite sensitive because there are concerns in the market about privacy. The first thing I need to say is that this application is opt in. You can select what things you want to use. If you opt in to use all of the services of Scout, then the environment will react to you. Based on your location, your position, the screens are going to present information relevant to you. You are going to receive alerts or offers if you are walking next to the cafeteria, for example,” said Confalonieri. Both the Deakin Genie and Scout IoT apps are integrated with the Deakin platform. Additionally, augmented reality classes are now in full production with the School of Medicine already onboard and more to come, including optometry and architecture, Confalonieri said. There are some important factors surrounding augmented reality, he said. “It is convenient. We have a floating, pumping heart for our students that they can use everywhere. They can use that application at home and continue to study and experiment at home with that application. There’s an improvement of the teaching process. They are now more confident. They believe they know much more than before thanks to being able to experiment with 3D models,” he said. He can’t stress enough the importance of adopting these types of immersive technologies.